Matching and listening skills will "get in shape" when your child places a shaped puzzle piece into the correct place on the puzzle board. The name of the shape will sound as the puzzle is solved. 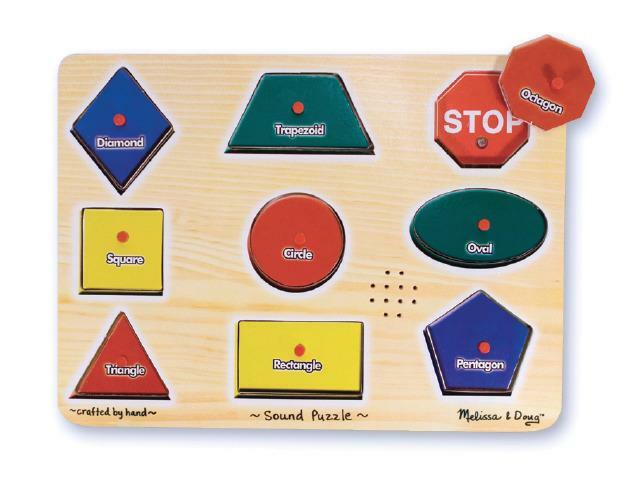 Children will enjoy matching the pieces to the colors and shapes on the puzzle board. Dimensions: L: 11.75" x W: 8.75" x H: 1"
Power: 2 X AAA Required, not included.